Beauty continues to reinvent the bricks and mortar retail space. 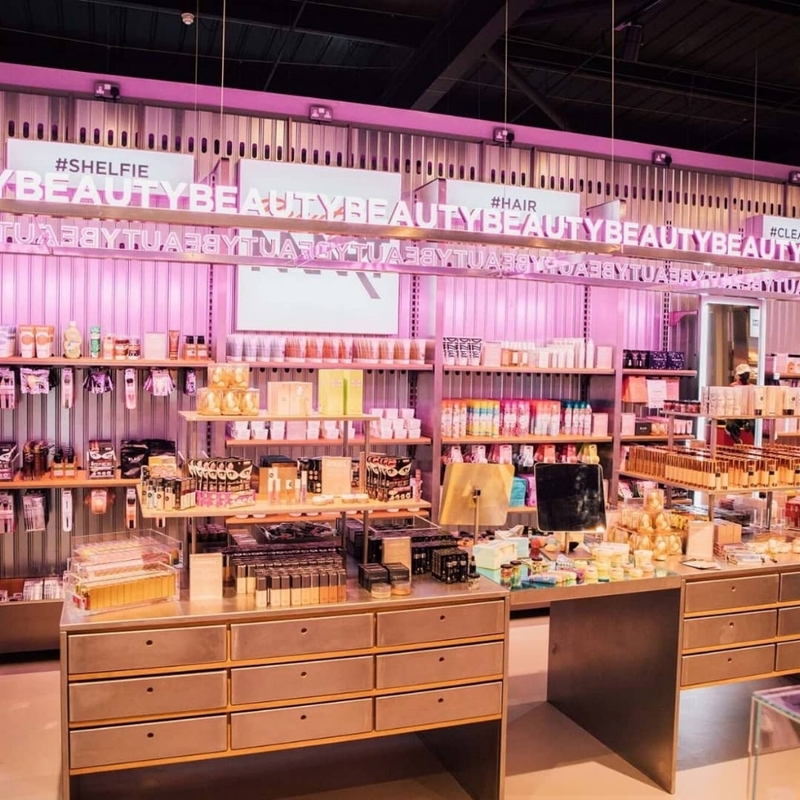 This latest retail collaboration between forward-thinking beauty retailer BeautyMART and athleisure and streetwear retailer UsCOLLECTIVE brings a fresh, reimagined look to injecting beauty into the fashion space. UsCOLLECTIVE is a part of the Sports Direct global retail group (valued at £3.5 billion) which also includes premium fashion retailer Flannels. Created by retail maven Millie Kendall MBE of Ruby & Millie fame and former Vogue beauty director Anna-Marie Solowij, BeautyMART first launched in 2012 on a fashion floor of Harvey Nichols following an online destination and Topshop Oxford Circus. Following BeautyMART’s “iconic and edited” approach, the partnership presents an exciting, innovative (and neon) destination to shop beauty. The space reflects a “tribal shopping” experience calling the digital generation into an inclusive area to as they shop in groups and share across social media. With over 50 brands in the edit, the BeautyMART X UsCOLLECTIVE space is home to a mix of trend led, indie and cult favourite brands including a sizeable sub-edit of male grooming products. The first of this new beauty experience launched in the UsCOLLECTIVE Thurrock (Lakeside) store in July 2018, with 10 more stores in the pipeline to launch in the next 12 months across the UK.